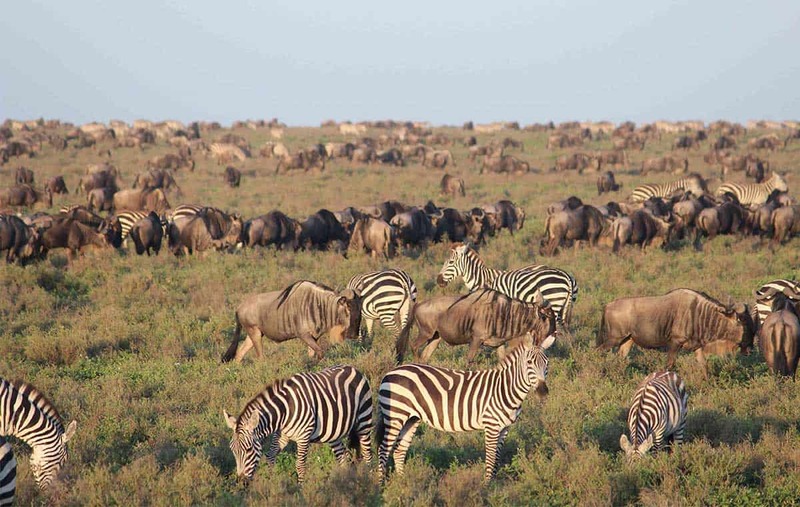 A safari tour can be done as part of a small group tour or on a private basis. There is no better option, it completely comes down to how people prefer to travel and their budget. A safari can be expensive as accommodation rates reflect the high cost of operating and staffing camps located in remote (off-the-grid) locations. However, the rates don’t seem so exorbitant once you consider that they are fully inclusive of your accommodation (often quite luxurious), all meals (and often drinks), professional guides, all safari activities, and the park & conservation fees which go directly to protecting wildlife from poachers and helping local communities. If clients are travelling on a budget the best way to do this is joining a small group tour where costs are split between other people and they travel overland to avoid flight costs. Travelling as part of a small group is a cost-effective way to go on safari and allows you to visit overland the highlights of the countries with a local qualified guide/driver with you the entire time. Since most people join group tours for cost reasons, the accommodation tends to be on the basic side (always clean and comfortable) to keep prices affordable, although there are some options that offer more upmarket (4-star) accommodation. Most meals are included in the tour price and are either enjoyed at the lodges or prepared by your tour crew at the vehicle and eaten around a campfire. Small group tours in Eastern Africa (Kenya & Tanzania) tend to have a maximum 7 passengers as that is the number that will comfortably fit in a 4×4 Safari Landcruiser vehicle so that each person has a window seat. 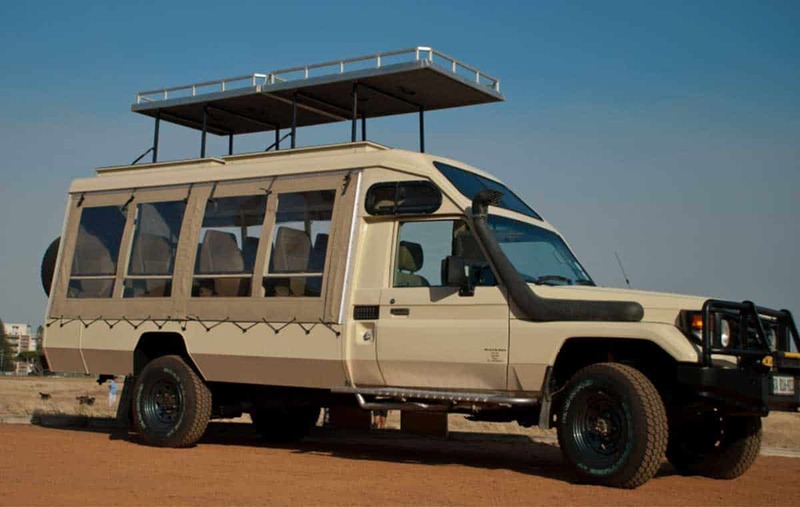 In Southern Africa (Botswana, Zimbabwe, Namibia, South Africa) most of our small group tours have a maximum 12 passengers in specially designed safari vehicles that are slightly larger and still allow for each person to have a window seat. There are a couple of tours in South Africa and Namibia that have up to a maximum 25 passengers, and these tend to be the lowest priced options for that reason. To have full control over when you travel, where you go, where you stay and what you do, our consultants can put together a tailor-made itinerary for you to suit your interests and budget. Depending on where you go, you may still be travelling overland with your own private vehicle and guide, or you may be doing a flying safari where you fly between camps on light aircraft (15kg luggage allowance) and land on dirt airstrips in the middle of the reserves where your guide is waiting for you. If you travel with your own vehicle and guide, you will have your own private safari activities and may only socialise with other people around the campfire in the evening or if your camp does communal dinners. However, if you are flying between destinations you will stay at the camps on their “game package” rate which means you do all your safari activities with the camp guides and share vehicles with other camp guests, maximum 6 guests per vehicle. 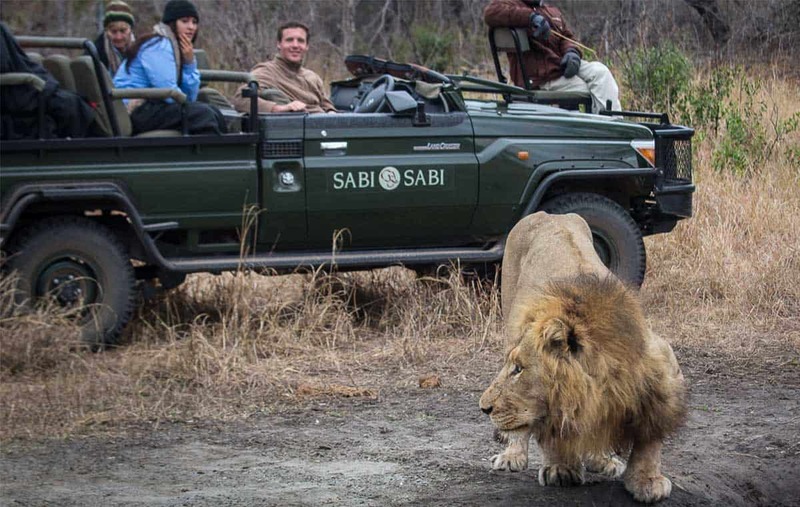 How Much Does It Cost to Go on a Private African Safari? Although the cost of a private itinerary tends to be more expensive than a group tour, particularly for single travellers or couples, once you have a group of 4 or more people it can be the same cost or even less than joining a group tour. This is because we have the flexibility to book any camps or lodges that we want, including the more boutique owner-run properties that are lovely and can be quite affordable. And, of course, if money is no object and you just want the best safari experience available, then we would definitely design you a private itinerary where we can choose all the best accommodation and activities for you. *Remember these itineraries can be adjusted any way you like – from changing accommodation to adding extra nights or extra destinations. Which African Safari is best? This really comes down to the individual – we hope that the above has given a little insight into the tour options available to make the decision a little easier. We will be posting more safari tips and recommendations on the site so please stay tuned for more! We also have a wide range of options available to further tailor your African adventure including fly-in safaris, walking safaris, beach extensions and more. To read more about these options you can download our Africa brochure here, or get in touch with one of our expert travel designers below. What is the Best Month to go on African Safari? See our Africa Travel Information page for this and more information to start planning your African adventure.